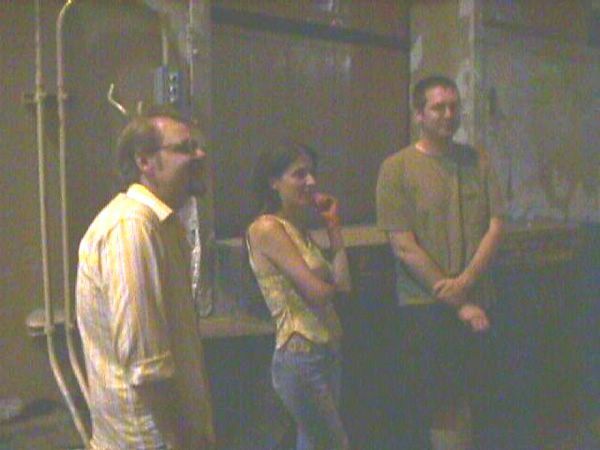 Here we have a nice shot of Tim, Gina, and Jeff in the alley behind The Guardian. They're standing in front of The Guardian's loading dock. Too bad the Mavica camera's resolution is crap, I imagine some of these shots would have been so much better otherwise. Still they came out as well as they could have in most cases. Jeff's 35mm shots, on the other hand, hopefully will turn out much better. I will post some of them once developed.